So today marks a somewhat emotional day as I have FINALLY, after two and a half loyal years, cancelled my Glossybox subscription. 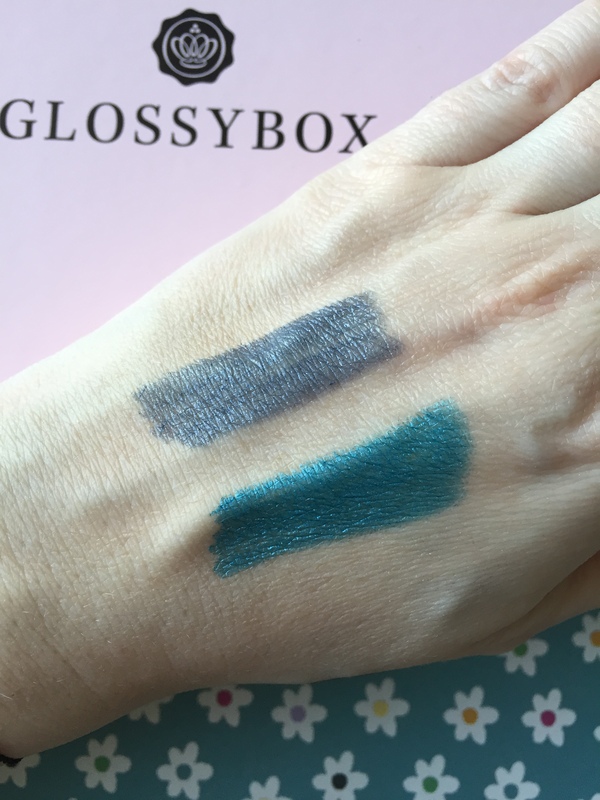 Glossybox was my first beauty box subscription and back in 2013 this was a luxurious novelty whereby myself and friends counted down the days until our boxes arrived. The excitement and enjoyment that we had finding out what we each got, trialling out the products and switching amongst us was so much fun! It was a new found hobby which we loved! Of course, when Glossybox started you filled out your beauty profile which ACTUALLY meant something as the products that were sent were actually tailored to your skin type and your preferences. The products were expensive and of a higher quality. It when Glossybox decided to launch the monthly subscription box aimed at teenagers, that’s when things started to go downhill. The luxurious products were slowly replaced with lower end high street brands, which of course were affordable for teenagers. My biggest gripe was that the skin type of those aged 12-18 is much different from us who are in our late 20s/early 30s. Glossybox then started sending out the exact same products to everyone which made the beauty profile pointless. Then the biggest annoyance was the standard of the items received. For example, a full sized item was now replaced with a tiny perfume viral which any one of us could pick up for free in any department store. Value for money quickly depreciated and after last month receiving THE worst product ever (Astral moisturiser, costing a meer 87p), I decided enough was enough and cancelled my subscription. Oh and don’t get me started with the glossy dots change which is now the biggest con ever! Going forward I will still check to see what items everyone is receiving in the hope that Glossybox ups their game inline with the other subscription boxes available in the UK. So now that my little rant is over, let’s now discuss the May box which was actually not too bad. The theme of this month’s box is Summer’s Calling. The packaging has reverted back to the classic pale pink box and the contents are tailored to getting you ready for the Summer months. I have been in two minds about trying this product for about a year. At £35 it’s quite pricey to trial and you don’t seem to get samples in the department stores so I was VERY happy to receive this. The sample itself is pretty small at only 7ml however it will probably last around a week. The product is endorsed by numerous celebrities as it is loaded with antioxidants which work to reduce the appearance of fine lines, discolouration and uneven texture. The product is quite light with a soufflé texture. It hydrates the skin very well and sinks into the skin without leaving a greasy residue. I’ve not used it enough to see whether it makes my skin look brighter but it did make it feel very soft. I think that I will purchase the full sized item, especially as there is an offer on at the moment in Boots where you save £7.50. This is the full sized item, 30ml. It is a white gel which is the perfect treat to your skin post shave or wax. It soothes the skin and is said to reduce hair growth. It contains salicylic acid and fruit enzymes which will assist in reducing ingrown hairs. It’s non greasy as the gel formulation allows it to sink nicely into the skin leaving it feeling silky smooth. Only a light fragrance which is also a bonus. The perfect product for getting your legs prepped for baring them in the hot weather. I was rather sceptical trying this product as I thought that it would leave a residue on the hair or just not work at all. I was pleasantly surprised by the power of this product! I had 2 day old unwashed hair which was also a bit oily as I’d put coconut oil in overnight (If you’ve done that before then you know it’s a nightmare to remove the oil!!). 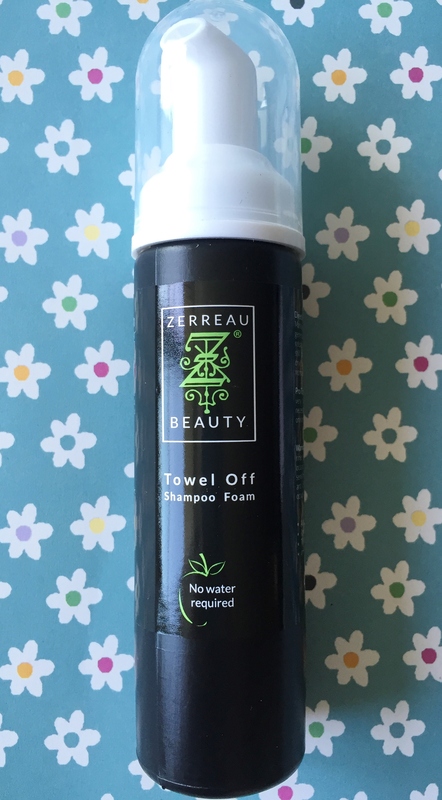 I used about 8-9 pumps of the foam, applying to dry unwashed hair. Rubbed it with a towel and hay presto, just like magic, my hair felt and looked clean!? Like I had just washed it and the coconut oil was gone! I would say that this is much better than dry shampoo. Plus with the rubbing of the towel to dry it, it actually gave my hair a bit of volume… which again is another bonus. Try it and see for yourself. I think you’ll be amazed by this. This product I’m in two minds about. The fragrance is light, it leaves skin feeling very soft however it leaves a very sticky residue which takes about 10 minutes to disappear once the product has been rubbed into the skin. 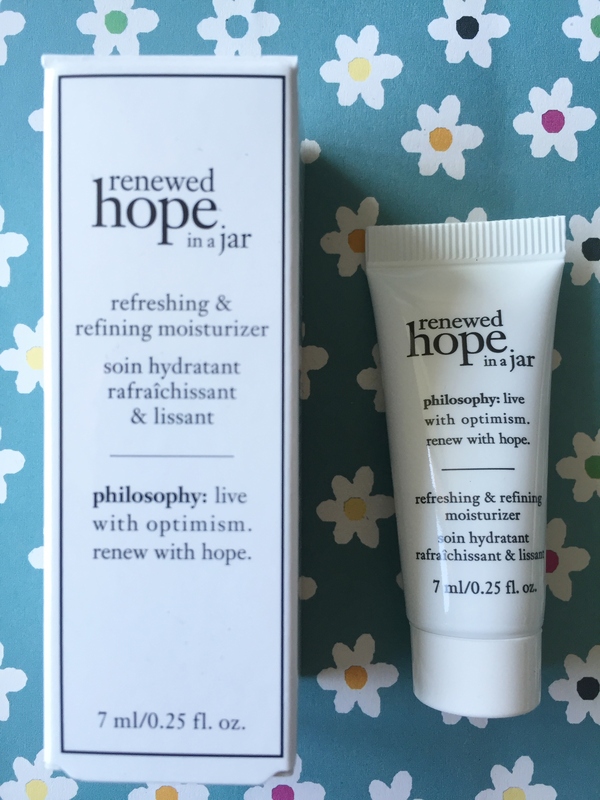 It is however a cooling gel which provides instant rescue when your skin needs a little extra TLC. 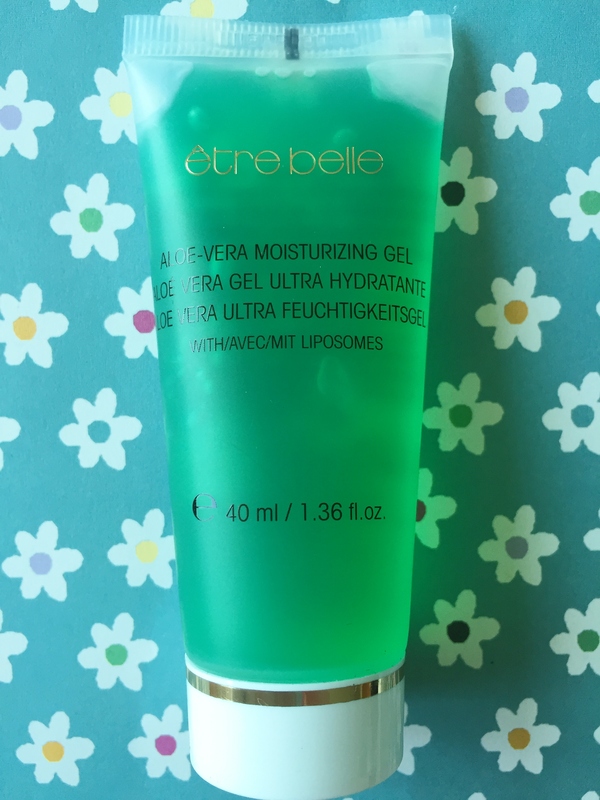 The gel formula hydrates and is easier to sink into the skin. I would definitely recommend using gels rather than cream moisturisers. You’ll get much more benefit from the product. I am a huge fan of blue eye liner and I wear it throughout the year under my eyes. I always think that the pigmentation in blue makes blue or green eyes look brighter and fresher. This product is very long lasting, infact when I swatched it on my hand it took forever to come off. I really like the turquoise shade. I’d say that this is perfect for hanging out in the sunshine. The navy blue has a slight silver sparkle to it and would be perfect for the summer evenings. The product is similar to a crayon and glides on easily. It’s a little chunky however it does the job nicely. So for the time being this is my last Glossy review. Let me know whether you received these products or anything different and what your thoughts were. Also, have you given up on Glossy and would recommend any other boxes? I’m not giving up on Glossy mostly out of nostalgia, but the quality is pretty poor lately…I’ve also noticed more and more products of dubious origin you can’t even buy anywhere, so why would you want to trial them?! I was wondering this too. Received my first Glossybox this month, so looking to try a few and pick my favourite. Thanks! I got a collection lipstick instead of the philosophy cream. This is my 5th month and I think I may cancel after the 6 month is up as I could put my money to much better use!